The English golfer thought he had lost his playing rights for 2018, but a rules change has worked in his favour. Poulter's season was disrupted by injury. ENGLAND’S IAN POULTER hasn’t lost his PGA Tour playing status after all. The tour said Poulter and American Brian Gay will keep their cards after a recalibration of the FedEx Cup playoff points structure for players competing on major medical exemptions. “It’s obviously a big bit of good news,” Poulter told the Golf Channel in New Orleans, where he is competing in the Zurich Classic. Poulter thought he had lost his playing status on the PGA Tour after missing the cut at the Texas Open last week. That was the 10th and final event of his major medical exemption, granted after he missed most of last season with foot arthritis. “The spirit of the medical extension has always been to provide the same opportunity a player would have had if he had not been injured to retain his card, and in this case the bar was moved significantly,” the statement said. Email “Lucky break for Poulter as he gets to keep his PGA Tour card after all”. 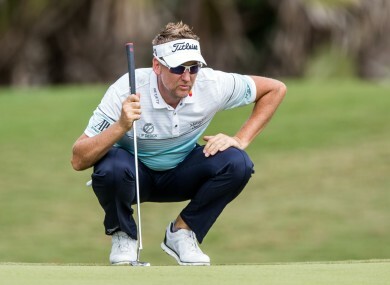 Feedback on “Lucky break for Poulter as he gets to keep his PGA Tour card after all”.